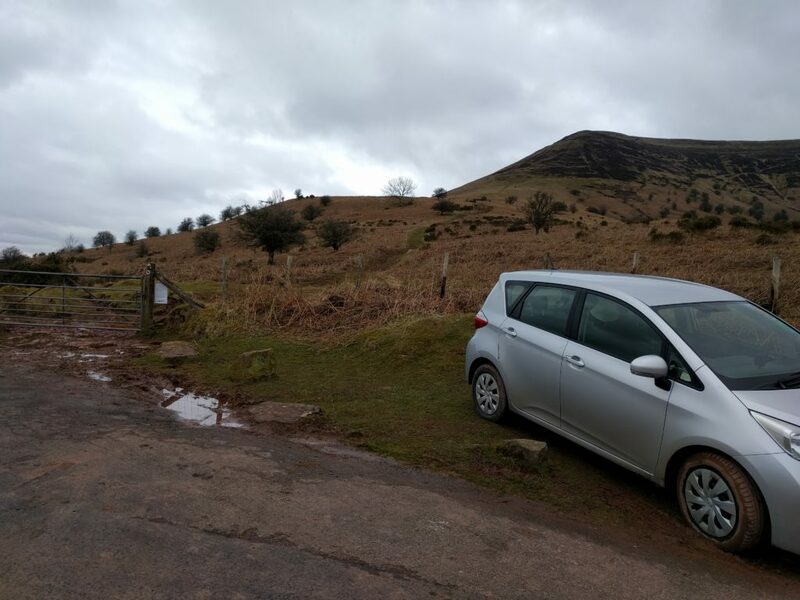 I spent the Easter weekend in Wales operating from some of the SOTA summits in the Brecon Beacons. After staying in Gloucester overnight on Maundy Thursday, I started Good Friday by heading up Waun Fach. I approached Waun Fach from the South-West, starting from the crossroads at NGR SO190267, just above Waun Fach village. This is up a very steep, narrow road off the A479 – the sort you think you wouldn’t want to meet anyone on. Once at the crossroads, though, there is plenty of car parking space. From here, you walk up the road to a well-made path, and then onto the open moorland, where you follow the obvious paths straight ahead. This isn’t a very challenging walk, the path rises but not too steeply, and you eventually come up onto the flat, and often boggy, top. The ascent took about 1h45 for about 2000ft, and the descent took about 1h15. The only slightly challenging bit was at Pen Trumau (NGR SO203292), where I was tempted to avoid having to climb the up onto the ridge. You do need to just go for it, continuing on the path up the short, and slightly steep bit onto the crest of Pen Trumau. There isn’t a way to skirt round it, but it’s less hard than it looked. 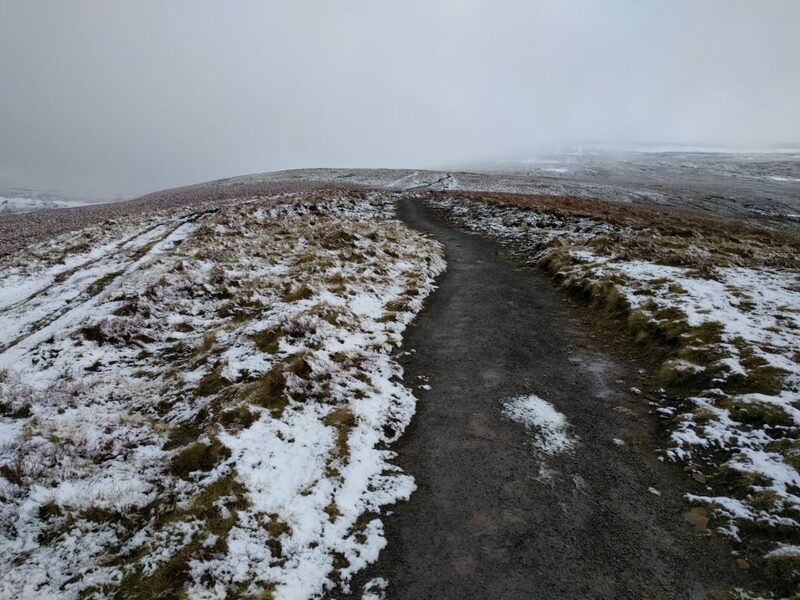 Passing about the 700m ASL contour line, the ground became frosty and then covered in a thin layer of lying snow, but this is also where you pick up a nice gravel path taking you to the summit of Waun Fach. There isn’t much to see on the summit though. It’s a flat top with no particular features. As you can see from the photos, it was quite cold today, so I didn’t stay too long on the summit, but enough to comfortably activate the mountain on 30m CW and 2m FM. (8 QSOs on 10MHz + 3 QSOs on 145Mhz). From Waun Fach, it’s only about a 15 minute drive to the shoulder between Mynydd Troed and Mynydd Llangorse, just the other side of the valley at NGR SO161282. It’s worth noting that, approaching from the south, there’s a gate across the public highway (SO169273). This took me aback at first, but it’s perfectly fine to just open it and close it after you again. Parking is on the shoulder itself, where there’s space for about 5 cars at SO160283. 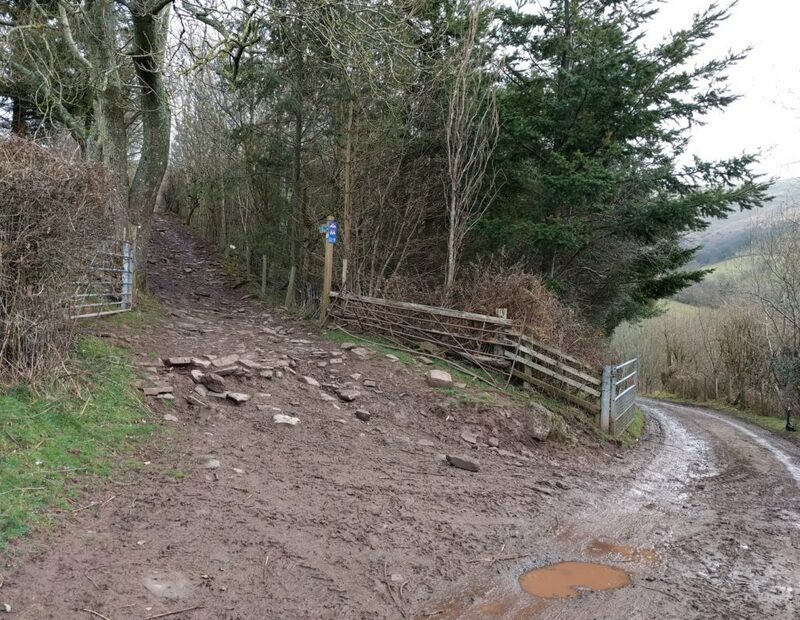 The 4-point Mynydd Troed is a steep climb, taking only about 45 minutes. It starts with a simple grassy path, but the steepest point turns to steps cut into the grass, which today were full of mud and quite slippery on the descent. Just when you think you’ve reached the top, the path turns around the side of the hill, as a final sting in the tail. 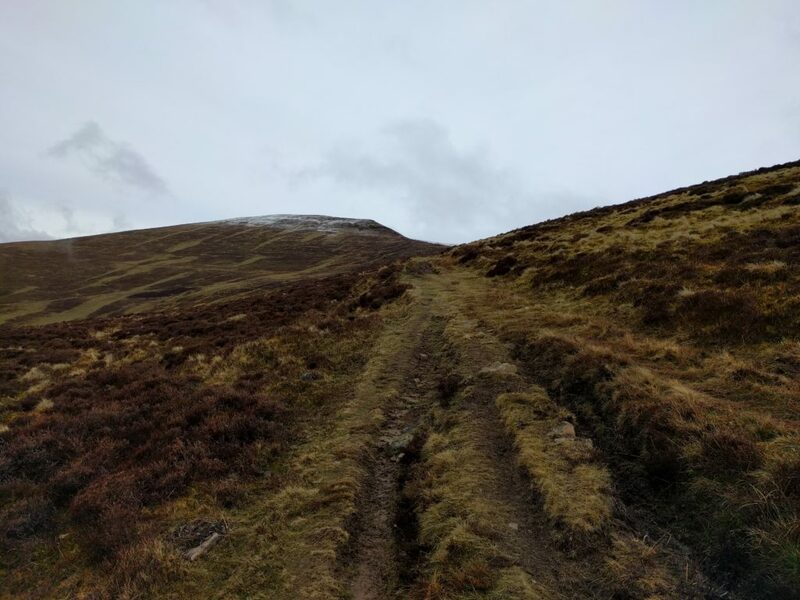 The top is nice and flat, like most of the Beacons, giving lots of room to operate, and this isn’t particularly well-frequented – most people seem to go up Mynydd Llangorse instead, as it’s the easier walk. Indeed, I’d planned to head up Llangorse, a SOTA 2-pointer, immediately after Troed, but with heavy rain looming and a tent to pitch, I decided to do the activation quickly and get off the hill. I made only 7 QSOs on 30m and 1 on 2m.